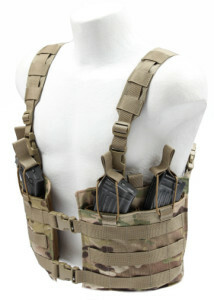 The AK47 split front 4 mag chest rig is now available. This rig was scaled down from our 6 mag version to make a lighter weight rig and for smaller framed individuals. 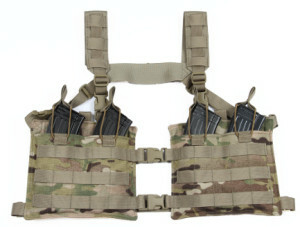 The AK47 split front chest rigs are available in a fixed or split front configuration. The adjustable option allows the individual to adjust the size of the split in front. With multiple color options available the AK47 4 mag split front chest rig is a great addition to any AK47 gear enthusiast gear collection. Available in: MultiCam, MultiCam Black, A-TACS AU, A-TACS FG, Kryptek Highlander, Kryptek Mandrake, Kryptek Typhon, Coyote, Khaki, Ranger Green, OD, Wolf Grey, Woodland and Black.